Journalist and novelist John Wray is interested in exploring the adolescent psyche and its capacity for strong ideological convictions. 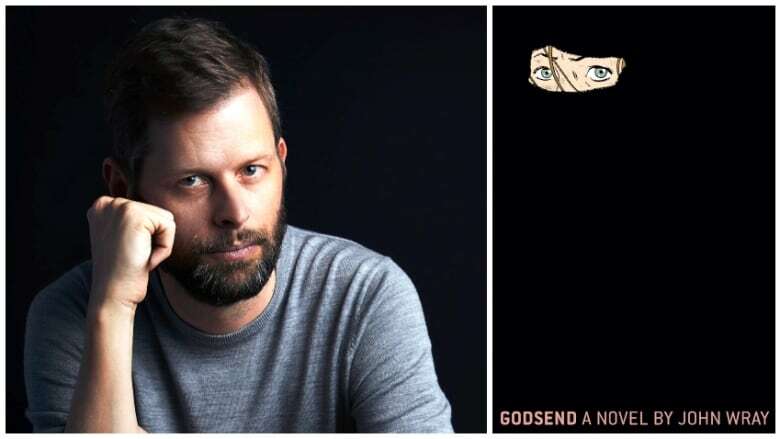 In his new novel, Godsend, Wray imagines the experiences of a young American woman who, disguising herself as a boy, travels to the border region between Pakistan and Afghanistan to study Islam at a madrassa, an Islamic religious school. An astounding tale of faith and adventure, Godsend was inspired by the true story of John Walker Lindh, an American convert to Islam who joined the Taliban before 9/11. Wray is the recipient of a Whiting Award, a Guggenheim Fellowship and a New York Public Library International Residency. He was named one of Granta Magazine's Best Young American Novelists in 2007. Wray spoke to Eleanor Wachtel from New York City. "Like a lot of people in the West, my fascination with the tribal region between Afghanistan and Pakistan began when it was cited, over and over again, as the location of the hideout of members of al-Qaeda including Osama bin Laden. In all those years after 9/11, the United States and its allies proved repeatedly incapable of even locating bin Laden and other high-ranking al-Qaeda operatives. "It is kind of unbelievable, in this ultra-modern age of surveillance and drone technology, that a human being so famous and so wanted could simply disappear — and not just temporarily, but over the course of years and years. That fascinated me. I began to wonder, what is this part of the world that is so remote and so resistant to our attempt to conquer it... how can such a place even exist in this day and age?" "John Walker Lindh was, in many ways, a typical northern California teenager. Maybe a little bit quieter than some, a little bit more studious than some. Though he had absolutely no background in Islam, he became fascinated with the religion because he saw Spike Lee's biopic film of Malcolm X and through listening to some hip-hop of that time, which was not only very political but also some rappers of that time were committed Muslims. He gradually became seriously interested in the study of that religion, eventually converting to Islam and traveling to Yemen and then to Pakistan to study the Koran very seriously in a school which is known as a madrassa. "Then, through a series of circumstances that are to this day not perfectly known or understood, Lindh found himself across the border in Afghanistan fighting as a regular soldier. He was taken prisoner with hundreds of others. It was only later, after a very bloody prison uprising, that he was identified as a U.S. citizen, so perfectly had he adapted to that part of the world and to his community. He then — unfortunately since he was captured only a few weeks after 9/11 — became quite the scapegoat at a time when the United States hadn't captured many people that we could hold accountable for what had happened on the 11th of September." "I was able to spend a bit more than a month traveling around mostly the northeast part of the country of Afghanistan in the company of a wonderful man whom I will call Hussein. His job was to work with journalists and covert operatives of various stripes in Afghanistan in what can often be rather dangerous territory. We were looking for people who had known John Walker Lindh when he had been a regular soldier in Afghanistan. This was the year right before 9/11. "Hussein and I looked at each other. I saw that he was as surprised as I was to hear that. From that point on, everything changed for me. The idea that a young woman would travel to Afghanistan on her own — and not only find a way to survive there during that period of time when the Taliban were trying to consolidate their hold on the country, but would serve some sort of military function as well — was completely gobsmacking to me. I couldn't imagine how that could possibly have happened." "What Godsend protagonist Aden Grace Sawyer discovers once she's begun this deception... is that the fact that these people have never seen an American of any age or any gender, let alone an 18-year-old woman from northern California, is a great help in her attempt to avoid detection. Because she's so strange and so foreign and so alien to these men whom she comes to know and befriend and eventually fight alongside, they can't really judge her or praise her, or even interpret her actions in the way that they far more easily could someone from their own community. "It's a bittersweet revelation for Aden. At the same time that she realizes she'll never truly be one of them, she can never truly abandon her old identity, which she would very much like to do, she also comes to understand that that is part of what's keeping her alive to some degree." John Wray's comments have been edited for length and clarity.